Established in 2017, Team Gravity has grown to achieve major success, and is now regarded as one of the top teams globally within VR eSports. 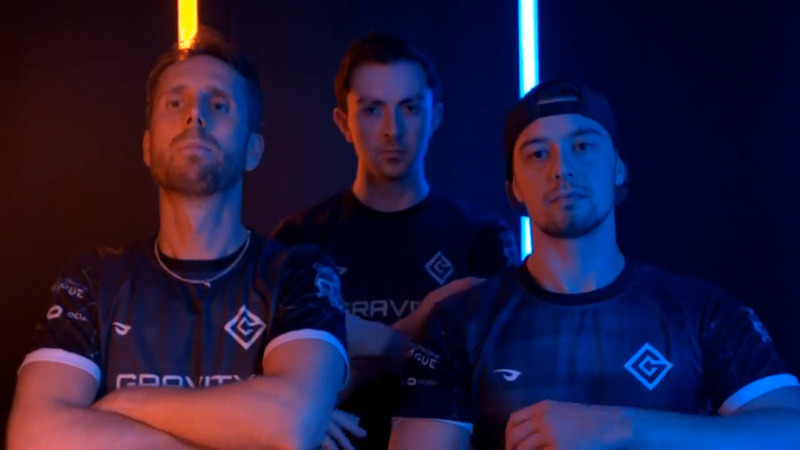 Competing across multiple VR League titles such as Echo Arena, Sprint Vector and The Unspoken, Team Gravity is one of the first professional VR only eSports organisations in the world. The current line-up is comprised of four members - Tim ‘VR Jersey’ McGuinness, Dennis ‘Affenterror’ Ahrweiler, Philipp ‘Viatrex’ Rietdorf and Rick ‘Flushgogo’ Bos. The last major event Team Gravity competed at was the 2017 IEM Katowice, at which they placed fourth. They have been training harder than ever this season, and feel confident they will be even more successful at the finals this September. “Having welcomed our new members Flushgogo and Affenterror this season, the team have been working hard to incorporate their strategies and style in to our game plan and have emerged stronger than ever before. Qualifying this year hasn’t been easy - the increased interest in VR eSports means there are more players, and less spots. However, we have had an excellent season and have been racking up wins across multiple competitions and games. Whilst some matches were very close, we have consistently prevailed, coming top at World Final qualifiers for all three games we compete in. Flushgogo has truly impressed us, placing first and second respectively in The Unspoken and Sprint Vector, and the rest of the team have mirrored his success in Echo Arena. We are proud to say that going into these finals Team Gravity are the top team in the EU, and we can’t wait to continue this success.